Just a few short weeks after the iPad 2 was announced, it's in the wild and available for purchase. (Well, sort of.) In fact, we suspect many of you already have one in your excited paws. But those of you still contemplating the purchase are likely wondering if such an outlay will render your stash of existing accessories—for iPad, iPhone, or even iPod—obsolete. After all, when you're spending $500, $600, $700, or more on a new iPad, who wants to hand over even more for new add-ons? As we do with each new i-device, we've put the iPad 2 through the accessory wringer to see what works and what doesn't. Here's what we've found so far. The iPad 2 has the same dock-connector port and power requirements as the original iPad, which means that if you have a charger or battery pack specifically made for the original iPad, it should work just fine with the new model. The situation is similar for external batteries. Most batteries made for the iPhone or iPod will charge your iPad's battery only during sleep, and even then, very slowly. A few higher-power iPod and iPhone batteries will be able to power the iPad during use, but won't charge its battery unless it's asleep. Bottom line: If you want to be able to charge your iPad's battery quickly, you'll want a Made for iPad battery. Like the original iPad, the iPad 2 doesn't ship with headphones, so you'll need to provide your own. The iPad 2 sports Apple's now-standard headphone jack, which means it supports the same types of headphones as recent iPhone, iPod touch, and Mac models: Any set of headphones with a 1/8-inch (3.5mm) miniplug will work fine for listening to audio, and if you have headphones with an Apple-style inline remote control, that controller will work with the iPad 2 just as it does with other Apple products—a single-button remote will let you control media playback, and a three-button remote will let you control playback as well as adjust the iPad's volume level. If the inline remote includes a microphone, that mic will also work (see the next item). The microphone on any Apple-compatible inline remote/mic module will work as a mono microphone for making voice recordings in supported apps. It will also work in Skype and other voice-related apps. Older dock-connector microphones for the iPod—including the Blue Mikey—didn't work with the original iPad, and nothing seems to have changed in terms of compatibility with the iPad 2. However, Apogee recently announced the Mike, an iPad-compatible dock-connector microphone. One alternative, which we first mentioned back in April 2010, is a USB microphone. Although not officially supported, if you connect a USB microphone to the USB dongle of Apple's iPad Camera Connection Kit, the iPad will recognize the microphone and let you use it in any microphone-supporting app. 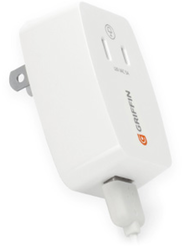 The caveat here is that this direct connection works only with low-power USB microphones, such as Blue's Snowflake. If you've got a USB mic that requires more juice, you can still use it with the iPad, but you'll need a powered USB hub, as well—you plug the hub into the Camera Connection Kit's USB dongle, then plug the microphone into the hub. We've tested this with Blue's Yeti Pro and MXL's USB.009. When it comes to playback control, the iPad 2 is in better shape than the original iPad was when it debuted last year, as iOS now includes support for AVRCP, the Bluetooth profile that allows full playback control via Bluetooth headphones and speakers. (This feature debuted in iOS 4.1.) If you've got Bluetooth headphones with playback controls—Previous, Play/Pause, Next—you can use those buttons to control media playback on the iPad 2. We tested the iPad with several Bluetooth mono headsets, and while we were able to pair some of them with the iPad 2, we were unable to direct any of the iPad 2's audio to the headset, nor were we able to use the headset's microphone with applications that accept microphone input. However, these were all standard mono Bluetooth headsets. Some Bluetooth single-ear headsets, such as several from Jabra, support A2DP (stereo Bluetooth), despite being mono models. With the original iPad, you could pair these A2DP single-ear headsets and listen to music and other audio through the headset. We didn't have any mono A2DP-compatible headsets on hand to test, but we suspect this will hold true for the iPad 2, as well. As with Bluetooth stereo (A2DP) headphones, Bluetooth speaker systems pair easily with the iPad 2 and, when chosen as the audio output, route all audio through the speakers. And thanks to iOS 4.1 and later, controls on the speaker system can be used to control media playback on the iPad. Bluetooth accessories for streaming audio to your stereo, such as Belkin's Bluetooth Music Receiver, also work well, letting you watch video or play games on your iPad's screen while the audio plays through your big rig. AirPlay, initially added in iOS 4.2 and enhanced in iOS 4.3, lets you send media wirelessly from your iOS device to an AirPlay-enabled speaker system, receiver, or media player. 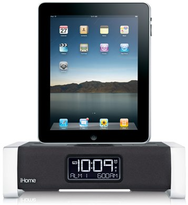 Since it's running iOS 4.3, the iPad 2 can send all audio to any AirPlay-enabled audio system. Once you've switched audio to an AirPlay system—for example, by using the AirPlay menu in the iPod app—all audio is sent to that system until you switch audio back to the iPad itself. You can also send video from the Videos app, and photos and video from the Photos app, to a second-generation Apple TV. A year ago, we noted that few "speaker docks"—speaker systems with a 30-pin dock-connector cradle—fit the iPad, as most use Apple's Universal Dock design, which is intended for iPods and iPhones. Sadly, that hasn't changed much, despite the popularity of the iPad. 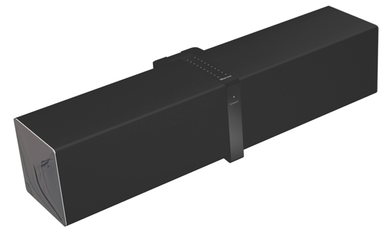 Only a few vendors, including Philips, Altec Lansing, and iHome, have released docking speakers with a cradle large enough for the iPad. If your speaker dock has an auxiliary-input jack, you can instead connect the iPad using that jack (see the next item). The drawback to this approach is that you lose any on-speaker controls that require a dock connection. As with any device with an audio output, the iPad works fine with powered computer speakers or any standard stereo system with line-level inputs. You just run a cable from the iPad's headphone jack (or, for better sound, the line-out jack on Apple's iPad 2 Dock or a third-party audio adapter such as those from SendStation and CableJive) to one of the audio system's inputs. If you use a dock or adapter, you may also be able to connect the iPad's own charger to get fast charging, as well. FM transmitters that simply grab the audio from your device's headphone jack will of course work fine with the iPad 2. Note that to watch higher-definition iTunes (rented or purchased) video on an external display, you'll need to use either the Digital AV Adapter or the Component AV Cable. This is because iTunes' HD videos include HDCP (High-bandwidth Digital Content Protection) and require an HDCP-compatible connection, which these two accessories provide. If you don't have the Digital AV Adapter or Component AV Cable, you'll need to sync to your iPad the standard-definition versions of your iTunes-purchased videos; the SD versions will play over the VGA Adapter or Composite Cable. You can also use third-party video accessories that include the necessary Apple-approved circuitry, which should include most Made for iPad-, Made for iPhone-, and Made for iPod-certified video accessories made in the past few years. These accessories should let you output video to TVs via component or composite connections, along with stereo audio. 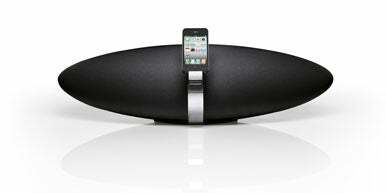 B&W's Zeppelin Air is both a speaker dock and an AirPlay-enabled audio system. Apple's $29 iPad Camera Connection Kit, which debuted last year, makes it easy to transfer photos from an SD card or directly from your digital camera to the iPad; the kit works with both the original iPad and the iPad 2. There are also similar third-party products on the market, but we haven't tested them; if they worked with the original iPad, they should work fine with the new model. Unfortunately, Apple's older Camera Connector for particular iPod models doesn't work with either iPad generation.